Starting with LobbyCentral On-Premise v8.0 and LobbyCentral Cloud, you must create a kiosk profile to login to web kiosk. 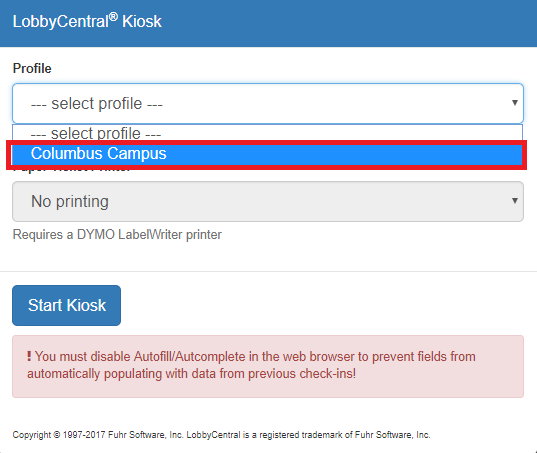 This allows you to manage kiosk options from LobbyCentral's administration page. Note: Cloud customers will need to enter the Company ID and select a profile (location) if applicable, when logging into the web kiosk. As of 2/11/2018, a HIPAA/Privacy option has been added to Kiosk Profile that limits the last name input to one character at the kiosk. 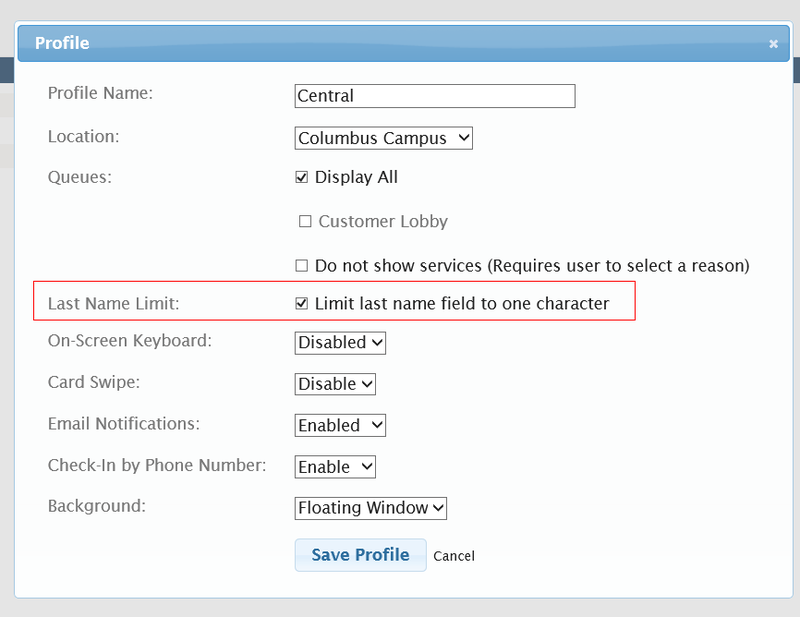 The option to limit the last name to one character is at the Profile level. After profiles are created, On-Premise users will be asked to select the appropriate profile, from the dropdown menu, before selecting Start Kiosk (see below). Please note: Cloud users will still be required to enter their username and password before selecting the appropriate profile.